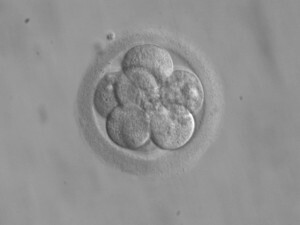 You are at:Home»Life Issues & Bioethics»Catholic Bioethics»Why Does the Catholic Church Oppose Embryonic Stem Cell Research? While my views in connection with research are opposed to those of the Pope and the Catholic church, I am very open to dialogue. Simply for the sake of clarity (and not in any way seeking to criticise the church), please would you tell me the scriptural basis for the Vatican’s opposition to research involving fertilised human ova? I am very familiar with how the ideas of Aristotle were incorporated into church doctrine under Aquinas, but not at all clear what the scriptural basis is or how opposition to research aimed at the alleviation of human suffering, and which cannot harm a human being (blastocysts are well short of a having a nervous system with which to suffer), squares with less abstruse requirements of the Christian life. 2270- Human life must be respected and protected absolutely from the moment of conception. From the first moment of his existence, a human being must be recognized as having the rights of a person – among which is the inviolable right of every innocent being to life. Every one of us is a continuous organism from the moment we are conceived to the day that we die. DNA is the gold standard for identification in every court of law. We are personally identifiable as a unique human organism by our DNA, from the moment of conception throughout our lives. It is illogical that we be treated as persons only for a part of that continuous process. Next Article The Santa Debate: Don’t Believe the Hype!